How effective are radar speed signs in calming traffic? Studies have proven that slowing traffic down will greatly reduce the chances of a fatal accident involving pedestrians and automobiles. 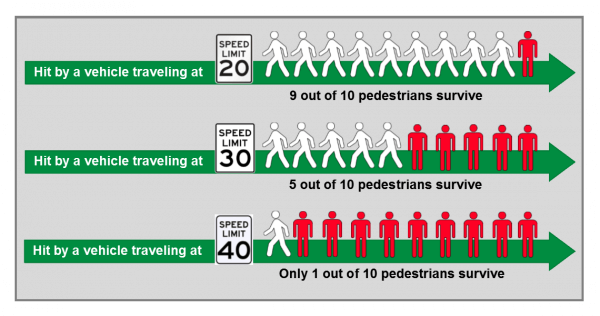 A pedestrian hit by a car at 40 mph has a 90% fatality rate; at 20 mph the fatality rate decreases to 10%. As you can see in the graph below, just a small reduction in speed has a dramatic effect on whether those involved live or die. 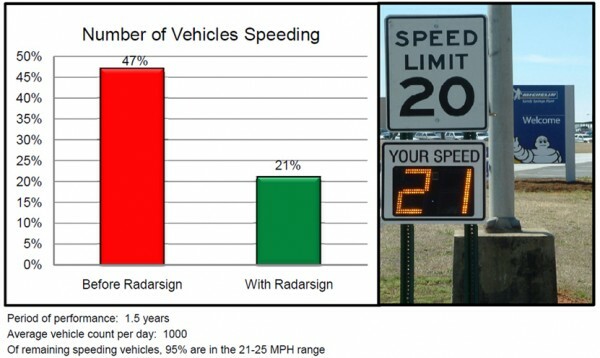 Radar speed signs are a proven traffic calming solution to raise the speed awareness of oncoming drivers. Studies repeatedly show that when alerted by a radar sign, speeders WILL slow down up to 80% of the time. 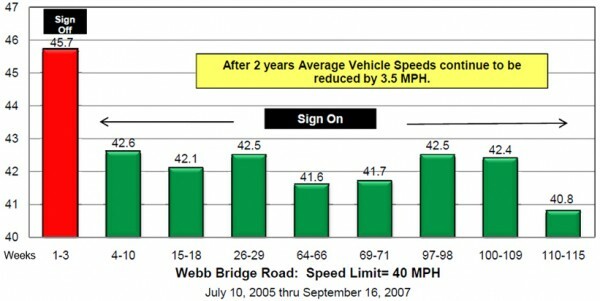 Typical average speed reductions are 10-20%, and overall compliance with the posted speed limit will increase by 30-60%. 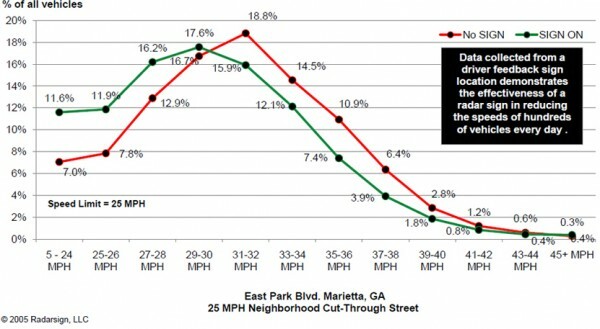 in reducing the average speeds in a 25MPH neighborhood cut-through street. 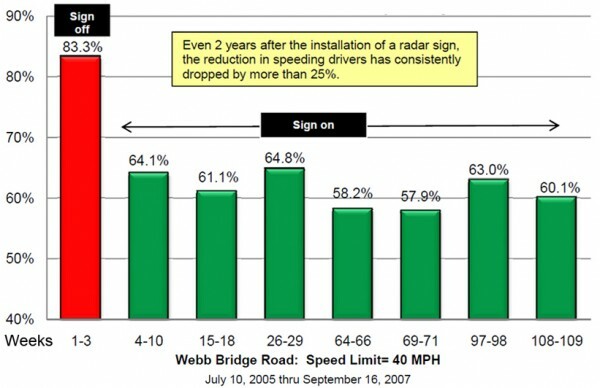 demonstrates the effectiveness of the sign in lowering peak speeds to lower speeds. 1.5 years of radar speed sign operation at a plant entrance shows 55% more vehicles obeying posted speed limit (PSL). Radar Sign Reduces Speeding At Plant By 55%! 2 years of radar sign operation on a 40 MPH arterial street shows consistent, long-term reduction of speed. 2 years of radar sign operation on a 40 MPH arterial street shows average speeds maintain drop of 3.5 MPH.